It’s ele­men­tary: “The more that you read, the more things you will know,” said Dr. Seuss. 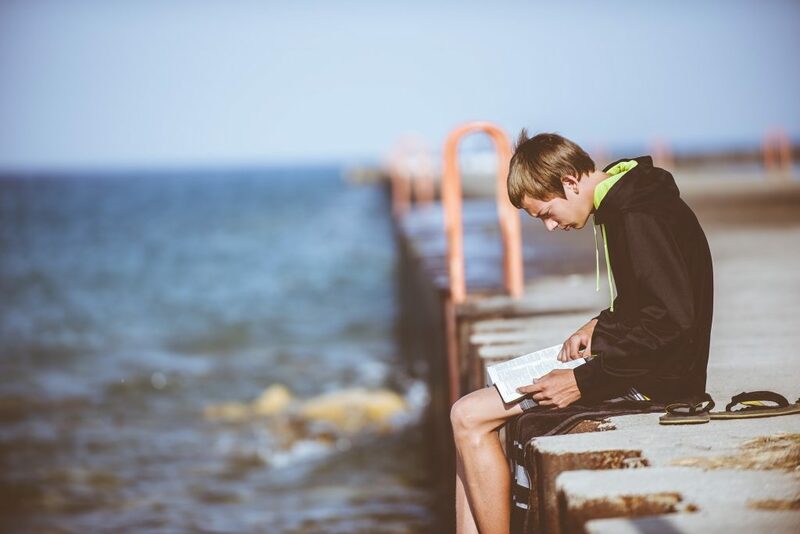 “The more that you learn, the more places you’ll go.” August and Sep­tem­ber are great months to exhale and do some mind-stretch­ing via a few great books. Here are five 2018 releas­es that I high­ly rec­om­mend, pre­sent­ed in alpha-order by the authors’ last names. Bridges does a bril­liant job of paint­ing a word pic­ture of what our cars, roads, and lives will look like in the future. To use our own Nextsens­ing words, the author uses “fore­sens­ing” to pro­vide a detailed pic­ture of a future world that hinges on “elec­tric Shared Autonomous Vehi­cles” (eSAVs). What’s that? Before he defines the con­cept, he does a stel­lar job of lay­ing out the prob­lem we now have with too many cars and trucks on too few roads — with most of them spew­ing plan­et-harm­ful pol­lu­tants into the air. Bridges uses pho­tographs, charts, and oth­er graph­ics to sub­stan­ti­ate his points, as well as many foot­notes. 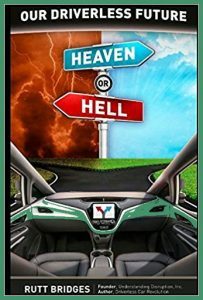 He jumps over the cur­rent fas­ci­na­tion with dri­ver­less cars and shows that hav­ing more and more vehi­cles, even dri­ver­less, will not solve the real prob­lem of how to get every­one to where they want to go in a time­ly man­ner. Thus, the need for eSAVs. Says the author, “The future of pub­lic tran­sit is dri­ver­less pool­ing ser­vices.” Think of Uber or Lyft con­vert­ed to dri­ver­less but also tied to a social net­work that allows peo­ple to hop to wher­ev­er they desire in a short time. In Chap­ter 5, Bridges pro­vides “A Day In Your Dri­ver­less Life,” which gives the read­er a sense of what per­son­al and pub­lic trans­porta­tion could be all about. He talks about how every­one would reg­is­ter for an eSAV account, how one will pay with your smart­phone, how ser­vice will be 24/7, how some rides might actu­al­ly be with­out any cost, how eSAVs will be mul­ti­lin­gual, and how the rout­ing to your des­ti­na­tion will be reli­ably min­i­mal, time­wise (unless you pre­fer a spe­cial route). Bridges also pro­vides a visu­al glimpse of what an eSAV might look like. Lest you think that this is all blue-sky ver­biage, Bridges moves in the next chap­ter to the “nuts and bolts” of mak­ing an eSAV sys­tem work. Bridges is a vision­ary, but one who is will­ing to sup­port his vision with ample details and con­vinc­ing log­ic. This book is well worth the ride. John­son is an imag­i­na­tive author. She draws links between Cap­tain James Cook (explor­er and car­tog­ra­ph­er) in the 1700s and the future-fic­tion­al James T. Kirk of the Star­ship Enter­prise. Kirk always opened the tele­vi­sion show by cit­ing the mis­sion of the “Star­ship Enter­prise” to “go where no man has gone before.” Notes the author: “This is what peo­ple want on the job: to bold­ly go where they haven’t gone before. To ven­ture into unchart­ed ter­ri­to­ry. To take them­selves and their com­pa­ny where they’ve nev­er been.” Via this tech­nique of telling sto­ries, draw­ing con­clu­sions, and trans­lat­ing them into work­place appli­ca­tions, John­son pro­vides both an uplift­ing book and one that can be uti­lized the minute the read­er gets back to the office. And I believe this book is just as valu­able for a first-time man­ag­er as it is for a sea­soned CEO. Because John­son is decid­ed­ly for con­tin­u­al human devel­op­ment, she is able to assert and then defend points such as this: “Hir­ing for poten­tial rather than pro­fi­cien­cy is the foun­da­tion for build­ing the A-team.” Yet the book goes beyond sup­port­ing her ideas in text. I read all of these five books via a Kin­dle read­ing device; in her ebook, she pro­vides links to pod­cast inter­views with author­i­ties who can attest to the wis­dom of her argu­ments. Through­out the book, John­son is clear, blunt, and com­pelling. For exam­ple, she urges man­agers to hire “where oth­ers aren’t,” such as “inter­nal can­di­dates, care­givers return­ing to the work­force, or mil­i­tary vet­er­ans.” Then she pro­vides a detailed check­list of what to ask dur­ing a job inter­view so as to increase the prob­a­bil­i­ty of both the per­son and the com­pa­ny suc­ceed­ing in the future. 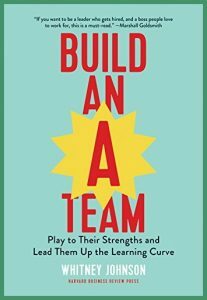 In her book, she shows how to man­age a new team mem­ber over the first year, and she argues that every man­ag­er should be a “CEO”: a Chief Encour­age­ment Offi­cer. Jim Skin­ner, for­mer CEO of McDonald’s, is a good exam­ple of such a “pawn.” Skin­ner com­plete­ly lacked the stan­dard CEO cre­den­tials. He didn’t have an MBA — he nev­er even grad­u­at­ed from col­lege. His first job was flip­ping burg­ers. But over four decades, he was able to assume a vari­ety of roles that even­tu­al­ly led to the C-suite. When his pre­de­ces­sor stepped down due to health prob­lems, he got the top job. McDonald’s did well dur­ing his tenure, but Skinner’s most endur­ing con­tri­bu­tion may be his empha­sis on tal­ent devel­op­ment. I sim­ply must cite from her clos­ing pages this quote from writer Anne Lam­ott. In so many ways, it cap­tures the spir­it of this book: “If we stay where we are, where we’re stuck, where we’re com­fort­able and safe, we die there. We become like mush­rooms, liv­ing in the dark, with poop up to our chins. If you want to know only what you already know, you’re dying.” John­son wants you, your team, and your com­pa­ny to grow. Start by read­ing this book. As soon as I read that, I was hooked to read all of this intrigu­ing book. Sim­ply put, our digital-self’s veloc­i­ty is much faster than ours. While you stand still, your dig­i­tal-self is zip­ping along at light speed gath­er­ing, con­nect­ing, sim­u­lat­ing, and mak­ing deci­sions that are pret­ty much invis­i­ble to you. What this means is that your dig­i­tal-self can do much more in any inter­val of time than you can. Ulti­mate­ly this is why your dig­i­tal-self can make pre­dic­tions about what you will do before you do it. It’s already ten steps ahead. They say this because the increas­ing use of Arti­fi­cial Intel­li­gence (AI) means that what you do in the future is, to a great extent, pre­dictable — based on what you have done that has been dig­i­tal­ly tracked. Yet, this book is an hon­est bro­ker for what is hap­pen­ing now, and it fore­tells the future. That is, you may take some deep gulps when you read the sto­ries and sta­tis­tics in this book, but you may also find some opti­mism welling inside you as you press toward the end. 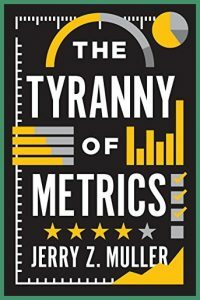 Talk­ing about the fail­ures of Kodak and Sears to keep up with their cus­tomers, the authors assert, “Sim­ply put, a loy­al brand is one that under­stands your behav­iors and their con­text well enough to be able to antic­i­pate and respond to your pref­er­ences and build mean­ing­ful and per­son­al­ized expe­ri­ences.” Which is to say that the very best com­pa­nies of the future will use your dig­i­tal-self to delight your real self. As I write this, I am try­ing to think of any job or pro­fes­sion that does not embrace some form of per­son­al mea­sure­ment. But what hap­pens when mis­mea­sure­ment wreaks hav­oc for the firm or the peo­ple who work inside it? Jer­ry Muller was cer­tain­ly spot-on to iden­ti­fy this prob­lem as it has grown, and his book is a gem. Muller will grab your inter­est ear­ly and fast. But this book is not any kind of per­son­al rant. It is one of the best writ­ten argu­ments I have seen on any sub­ject, pro­vid­ing case stud­ies of the woes of met­ric fix­a­tion in acad­eme, med­i­cine, polic­ing, the mil­i­tary, busi­ness and finance, and even phil­an­thropy and for­eign aid. He shows, time and again, how a reliance on num­bers can destroy any enter­prise that, instead, needs a high lev­el of per­son­al judge­ment to oper­ate at peak effi­cien­cy. As Muller notes, “There is noth­ing intrin­si­cal­ly per­ni­cious about count­ing and mea­sur­ing human per­for­mance.” And I sus­pect the rea­son such mea­sure­ment is done so poor­ly at so many lev­els is because not enough peo­ple have read this book! In the end, there is no sil­ver bul­let, no sub­sti­tute for actu­al­ly know­ing one’s sub­ject and one’s orga­ni­za­tion, which is part­ly a mat­ter of expe­ri­ence and part­ly a mat­ter of unquan­tifi­able skill. Many mat­ters of impor­tance are too sub­ject to judg­ment and inter­pre­ta­tion to be solved by stan­dard­ized met­rics. Ulti­mate­ly, the issue is not one of met­rics ver­sus judg­ment, but met­rics as inform­ing judg­ment, which includes know­ing how much weight to give to met­rics, rec­og­niz­ing their char­ac­ter­is­tic dis­tor­tions, and appre­ci­at­ing what can’t be mea­sured. In recent decades, too many politi­cians, busi­ness lead­ers, pol­i­cy­mak­ers, and aca­d­e­m­ic offi­cials have lost sight of that. Pro­found. Do not miss this book! Those ques­tions ulti­mate­ly led to a sur­vey (via inter­views) of as many of their soror­i­ty sis­ters from North­west­ern Uni­ver­si­ty as they could man­age. By the end of their research they had spent time with 43 women who were in their soror­i­ty at North­west­ern between 1989 and 1993. The authors had had no con­tact with most of the women for more than 20 years. This was no geo­cen­tric study. “Our col­lege friends are geo­graph­i­cal­ly diverse, span­ning five coun­tries and twen­ty-one [US] states.” Yet, the authors make no pre­tense that the book rep­re­sents the think­ing of all women every­where. How­ev­er, I see the book as a break­through for three rea­sons. First, it is a book about “real women.” By that, I only mean that the group of women in this book were nei­ther princess­es or nation­al pres­i­dents. The sur­vey deals with women who dealt with and spoke about the work world most of us would know well. Sec­ond, because of their inter­view tech­nique, the authors were able to divide the women into four cat­e­gories, four dis­tinct career paths that could help guide the think­ing of today’s col­lege women. The four cat­e­gories come across as nat­ur­al, easy-to-under­stand and help­ful options for any woman (at least, to this male). And that’s my third rea­son for lik­ing this book enor­mous­ly. This book could be a real eye-open­er for any male man­ag­er who has only a stereo­type of women inside the com­pa­ny. The book excels at show­ing how women, just like men, can have dif­fer­ing val­ues as they grow and evolve. 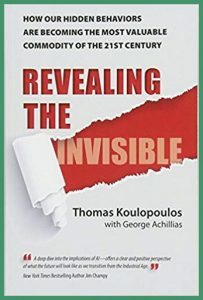 Men read­ing this book should gain a far bet­ter way to think about the women that they super­vise and work with as team mem­bers — although I doubt the authors wrote it as any kind of instruc­tion guide for men. And, most impor­tant­ly, women man­agers will, too! What you will find in this book are case stud­ies, women who typ­i­fy the cat­e­go­ry being dis­cussed. The women pre­sent­ed, in every case, have impres­sive and mem­o­rable sto­ries to tell. Then, at the end of each major chap­ter, Schank and Wal­lace pro­vide “Here’s what we know about” the cat­e­go­ry being stud­ied, such as “High Achiev­ers.” These sum­maries are extreme­ly help­ful as both mark­ers of the reader’s jour­ney through the book and as easy-to-remem­ber sum­maries of what makes each cat­e­go­ry dis­tinct. Please do not think that this is a sim­ple sur­vey-and-sort kind of book. It’s much more per­son­al, and Schank and Wal­lace make sure that the sub­ject of ambi­tion serves as a touch­stone for each of the cat­e­gories. Just as they tack­le the ques­tion of what suc­cess is, they do an equal­ly fine job help­ing the read­er to under­stand exact­ly what ambi­tion is, while allow­ing that the women who do not aspire to be CEO are not with­out ambi­tion, as there are mul­ti­ple forms of that trait in peo­ple. The authors also dis­cuss how mar­riages and part­ner­ships and rais­ing fam­i­lies can affect deci­sions about careers. They even talk about how the expec­ta­tions of par­ents can com­pli­cate the choic­es a woman makes. “Tour de force” is often overused when talk­ing about books, but what they have done with this book is to allow the read­er (female or male) to explore so many top­ics that for too many peo­ple are unex­plored. 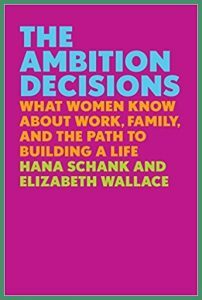 Toward the end of the book, the authors make a great state­ment about the lives of every­one: “While none of us had become Bey­on­cé, Sheryl Sand­berg, or Con­doleez­za Rice (sur­prise! No one turned out to be a plat­inum record­ing artist, the COO of Face­book, or sec­re­tary of state!) their sto­ries were far from bor­ing — and every one of them res­onat­ed with our own expe­ri­ences.” Far from bor­ing. That, in my view, is what all of our lives should aspire to; and this book, with a keen and wise focus on 43 women, was at all times far from bor­ing.